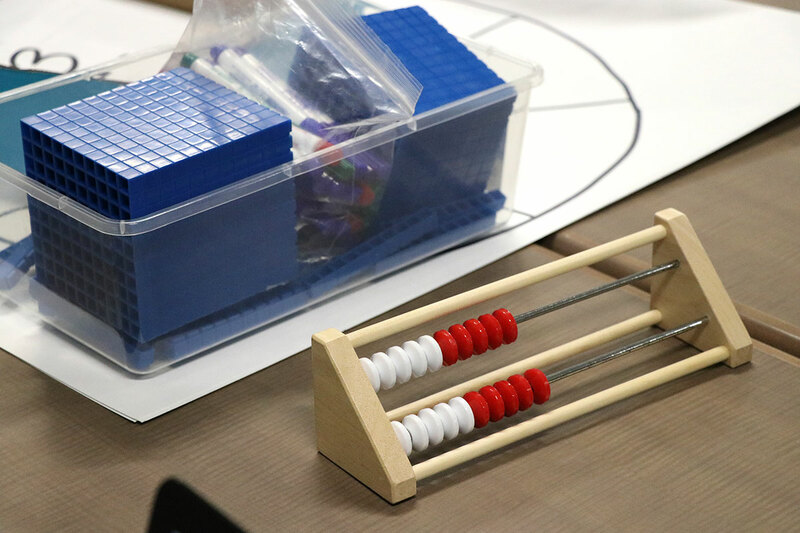 GUELPH, Ontario – Upper Grand DSB math teachers are using concrete, hands-on tools in order to teach students mathematical concepts. 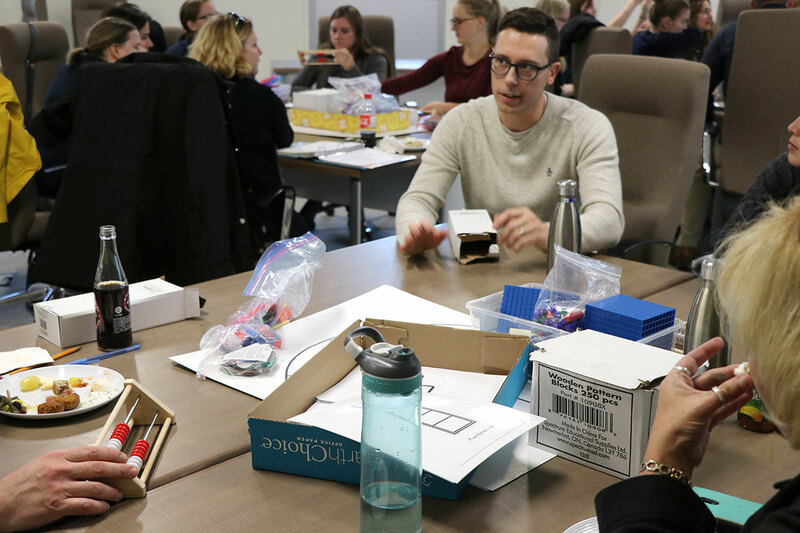 At workshops held in Guelph and Orangeville this October, UGDSB teachers learned about teaching students conceptual understanding using manipulatives. The session is the first of two that will focus on manipulatives this fall. In math, manipulatives are physical objects that can help a student understand a mathematical concept. Examples of manipulatives include Base 10 blocks, number lines, pattern blocks and money. Often, the first step in teaching a mathematical concept is through concrete representation. Then learners move to representational and abstract thinking. 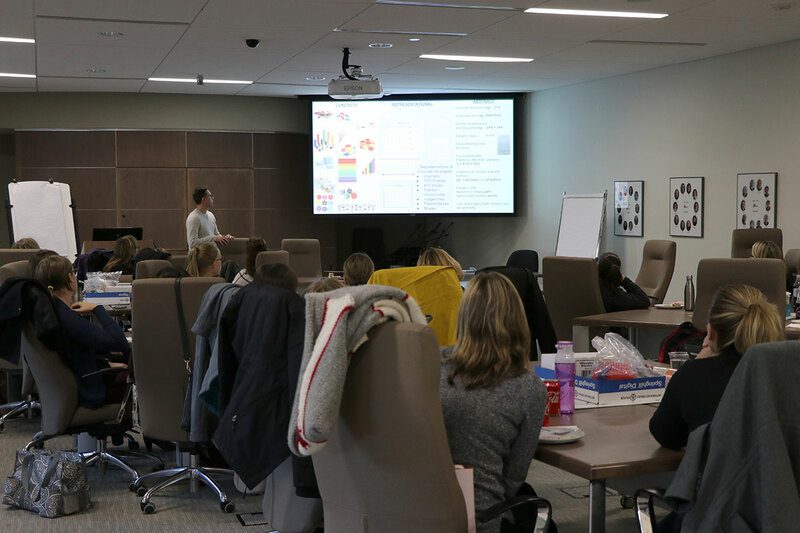 At the manipulatives workshop, curriculum leaders spoke to staff about the importance of the concrete, of using tools and manipulatives for learning. The first session on manipulatives gave staff the opportunity to explore concrete materials through grades K-8 in order to explore how concepts are connected and how the tools can be used in different ways. The workshop took teachers through different rounds working in groups, using different manipulatives to solve problems. Teachers left the session with key takeaways, the first being that students need to know foundational skills, like counting with meaning and working with numbers, before they can solve increasingly complex problems. Otherwise, students may memorize their facts but not know how or why to use them. Another key takeaway was that understanding must be built up from the concrete to the representational/visual, then to the abstract. The concrete stage is crucial to understanding. The PD on manipulatives is just one area of focus in math professional learning this year. Additional workshops will continue the board’s focus on Number Talks as well as practices for developing strong problem-solving classrooms.